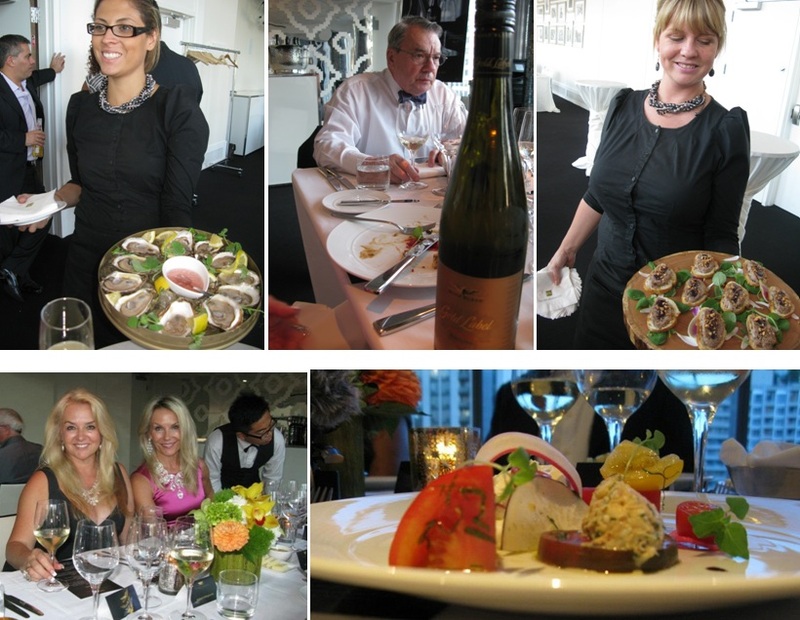 TIFF Wolf Blass wine dinner worthy of the Red Carpet! This week we attended the Wolf Blass 2012 Luxury Collection Release wine dinner at the stunning Malaparte Restaurant located at the TIFF LightBox. 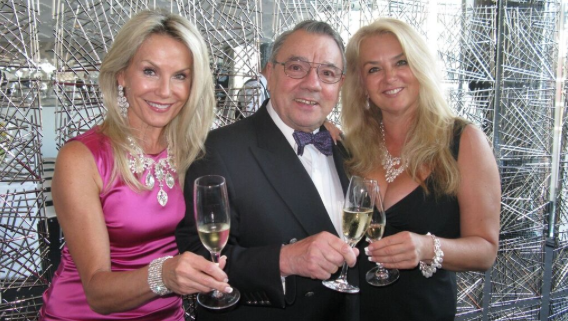 We were anticipating meeting Wolf Blass himself, the man behind the iconic brand and famous bow tie! 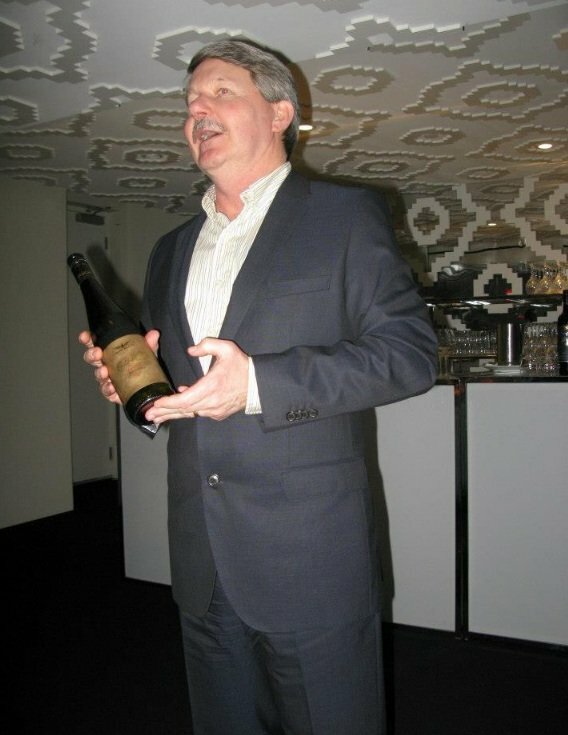 “Wolfie” as he is called did not disappoint and neither did the four stunning wines we were privileged to enjoy. 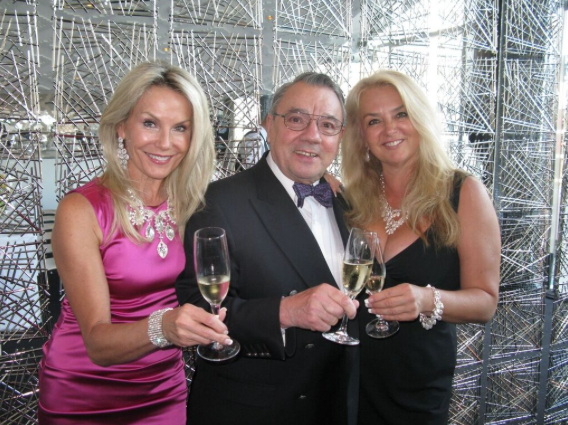 Wolf Blass is the official sponsor of TIFF, for the second year running, and Wolf Blass is right at home on the red carpet and award ceremonies having won more awards than any other brand in the world! Wolfie, or the “Cool Wolf” as we nicknamed him last night, he really is a “dude” who appreciates living life to the fullest, embracing sports, he still skis, the arts, culture and of course amazing food and wines was totally engaging as he orated standing on the chair about the history, the present and the future plans of the company he founded over 46 years ago in 1961. The Luxury Collection features four classic wines from three stellar vintages. The evening was a true celebration of stupendous wines. An absolutely delicious and inspired wine and food pairing menu in a stunning venue. With Wolf Blass himself and Head Winemaker Chris Hatcher on hand to answer all our questions and entertain us. The group of wine writers, bloggers, and television personalities embraced this wonderful, totally TIFF party, as Wolf Blass is the official sponsor, for the second year running. The stunning white and silver Malaparte provided the perfect backdrop for the evening. The tables dressed elegantly with white table cloths, floral arrangements bursting with colour and vivacity. 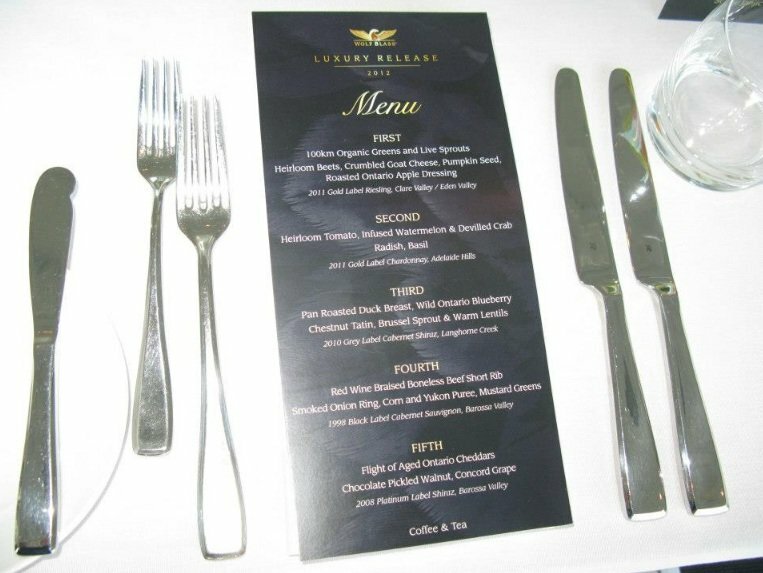 Our dinner menu, five courses were five star, equaling the showcasing of the Wolf Blass 2012 Luxury Collection release. The four wines included in the collection, two new Grey Labels from the 2010 Vintage. The first a Langhorne Creek Cabernet Shiraz, the blend Wolf used to create his very first wine under the Wolf Blass label in 1967. The McLaren Vale Shiraz, a wine described as being the “definitive expression of this unparalleled Australian wine region”. 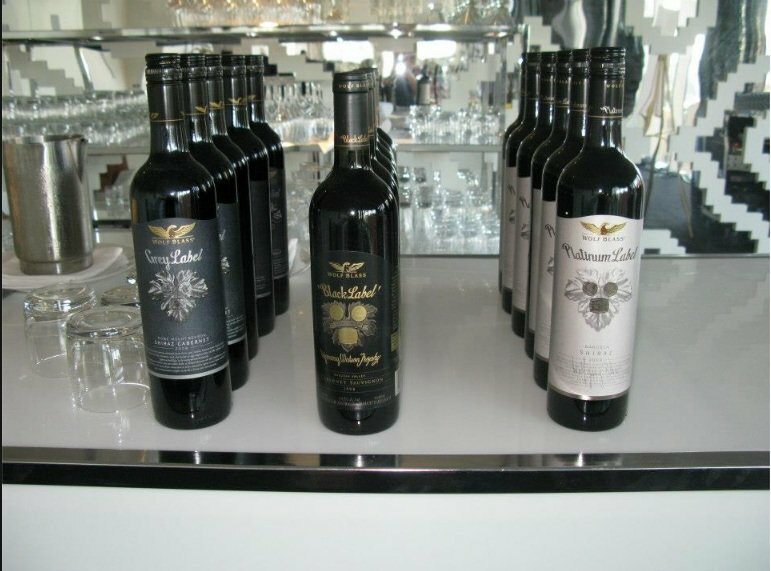 The 36th release of the iconic Black Label 2008 vintage and finally the 2009 Platinum Label Shiraz. The fourth course, Red Wine Braised Boneless Beef Short Rib, see complete menu was Georgia’s favorite pairing with the 1998 Black Label Cabernet Sauvignon, caressing the stemware, returning over and over to the bouquet and commenting on the complexity, and finish, worth every single Cabernet Calorie! https://www.thewineladies.com/wp-content/uploads/2017/09/LifestyleTIFFwithWolfblassfounder.png 425 568 Susanne Seelig-Mense https://www.thewineladies.com/wp-content/uploads/2017/08/WineLadiesLogoTransparent.png Susanne Seelig-Mense2012-09-13 13:15:042018-04-16 14:29:41TIFF Wolf Blass wine dinner worthy of the Red Carpet! Meet "Wolfie " the man that made it all happen! Richard Crouse shares festival stories and Oscar predictions with The Wine Ladies! Jeremie Renier of Vintner's Luck makes the ultimate vintage 1851. Talking Wine With The Stars.